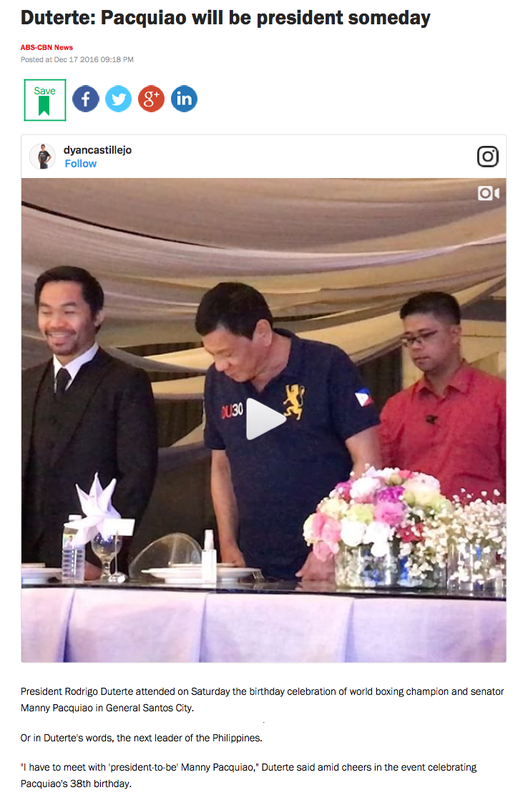 Boxing superstar and Philippines Senator Manny Pacquiao is set to step back into the ring on July 2nd which has people asking, "When will Manny ever be done with boxing and focus on his job as a politician?" Coach Freddie Roach has the answer. Looks like it's not a joke at all. 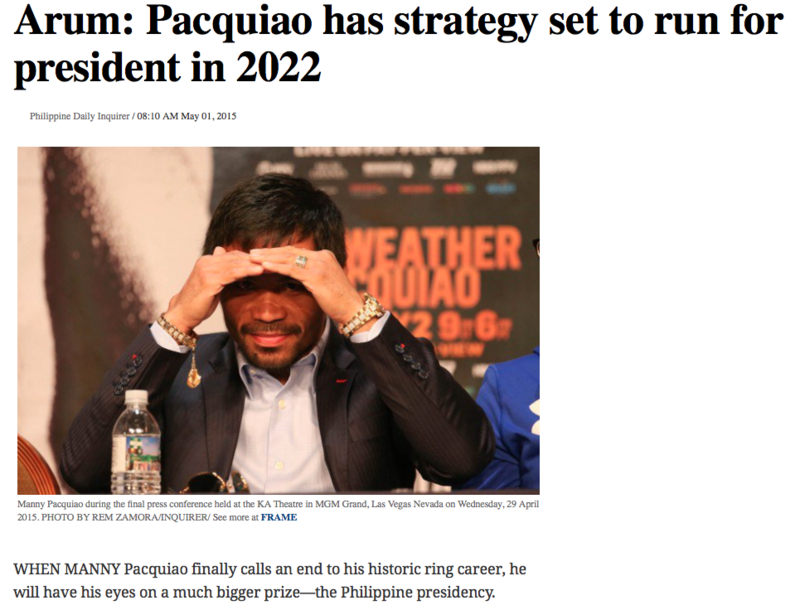 Manny Pacquiao can certainly run for president in the 2022 elections but that will not guarantee a win. The people have to elect him. 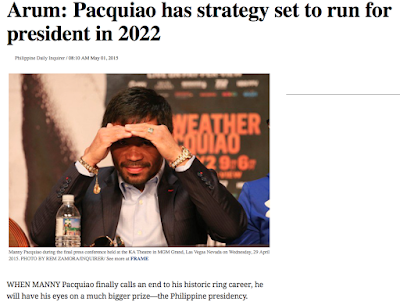 If Manny Pacquio wins the 2022 presidential election it will be solely the fault of the Filipino people. They will be the ones who cast the votes. 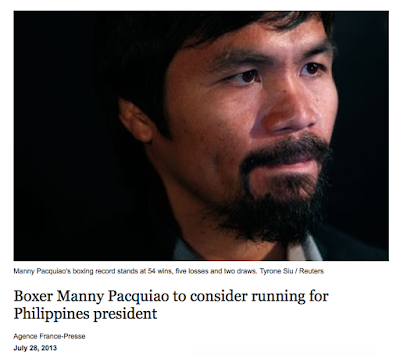 They will be the ones who demand Manny Pacquiao occupy the highest office in the land. They will be the ones to hand the reigns of power to him. Is he capable of such a responsibility? Pacquiao actually tried retirement for a while—after defeating Timothy Bradley in April last year and momentarily shifting his focus to politics—but decided he can’t just leave the boxing spotlight. He returned just a few months later to take on Jessie Vargas, ending his brief hiatus. The Horn fight, Roach added, will show whether Pacquiao can indeed juggle boxing and his work as a Philippine senator. “He is a good test for us to see where we’re at this point. 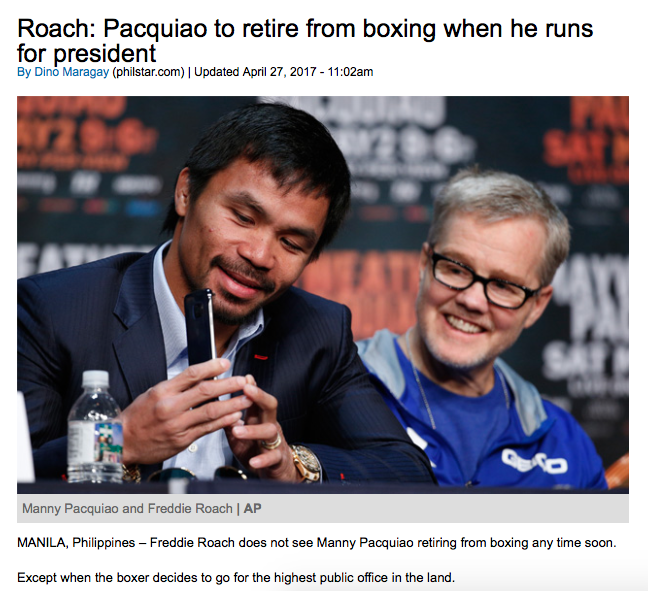 If we do or don’t continue, how much is being a senator [affecting] training for Manny Pacquiao. The camp went really well when he was a congressman. Congressman is not quite as demanding as a senator. That remains to be seen,” he explained. The primal call of the fight is too strong for Pacquaio to resist. Surely by 2022 he will be too old to fight. Too tired. Maybe even punch drunk. But if he does retire the Presidency is much more demanding then being either a Congressman or a Senator and if he can't handle the demands of either of those offices then how can he expect to handle the presidency? It is fitting that the boxer who would be president is a member of PDP-Laban whose logo is a fist. 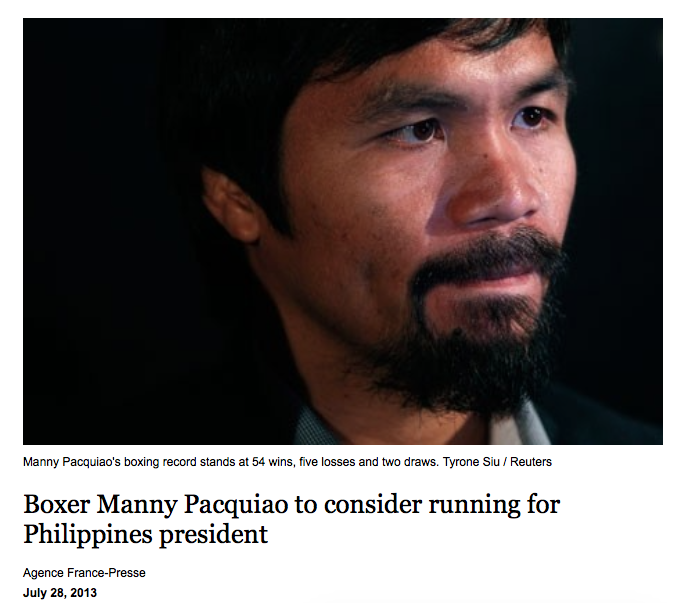 If Manny runs and wins it will only be because his opponent will be a corrupt Yellow party member. 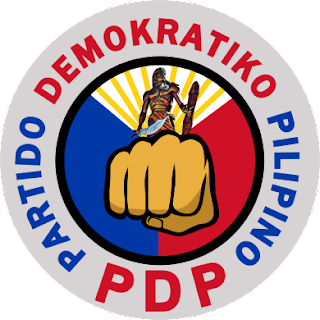 With the election of Duterte Filipinos have shown that they don't want the LP in power anymore. They don't want more corruption. They want an honest man who will fight for them and save the country. How sad that there are no Philippine politicians who fit that bill.